Bitcoin is a digital currency developed in 2009 by a person with the pseudonym Satoshi Nakamoto. This currency as IDR / Dollar (USD), it is only available in the digital world. You can always send Your bitcoin to assorted in the world as long as connected with the internet. Bitcoin is saved into Your Bitcoin Wallet. This purse must be installed on both sides, could be with PC/laptops, tablets and Smartphones. After installing the wallet, you'll get Your Bitcoin Address. For bitcoin transfer easy, open applications, input the address of the Bitcoin wallet intended recipients and number of bitcoin who want to transfer, and then you send. Then you want to ask, if there is no company that manages, and where financial data is stored? On your own computer (in purse) and an end to end network around the world. provide proof of Your input data so that it does not happen to cheat. Whether buying a Bitcoin will benefit? But if I see from the development of the media coverage caused enthusiasm will bitcoin everywhere will create a very high demand. I believe the price of the Bitcoin will continue to soar many times fold, I myself started depositing some money I into my bitcoin. But of course, I am not responsible for any losses against the unlikely event would be experienced, readers. 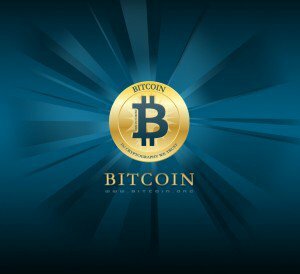 The important value of bitcoin now is around $1.3 Billion USD or approximately Rp 13 Trillion dollars, $11 Billion USD or USD 130 Trillion Rupiah on June (14 December 2013), but this is still the beginning of a lot of people who do not yet know the Bitcoin. Hopefully this article to so that we learn of the Bitcoin and understand the processes of the famous virtual currency. Please share with your friends. Thank you.